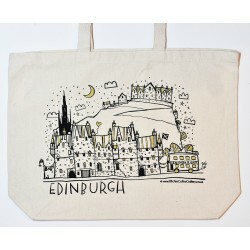 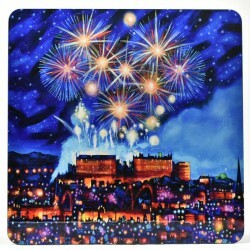 'Edinburgh Fireworks' is part of theCollections new range, high quality individual placemat printed from an original Ritchie Collins painting. 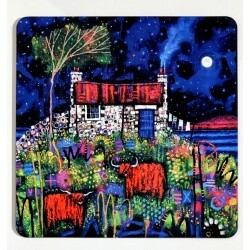 Also available in: Coasters 'Applecross Bothy' is part of theCollections new range, high quality individual placemat printed from an original Ritchie Collins painting. 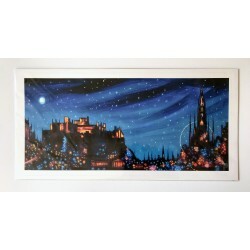 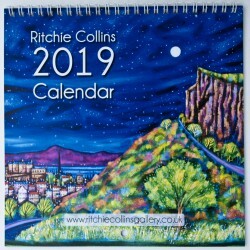 'Edinburgh Lights' is part of theClassics range, high quality individual giclee print from an original Ritchie Collins painting. 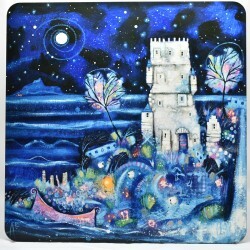 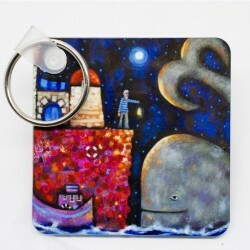 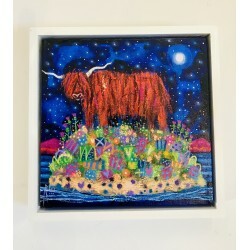 ‘Highland Coo Moon’ is a framed original canvas painting using mixed media within a box canvas.